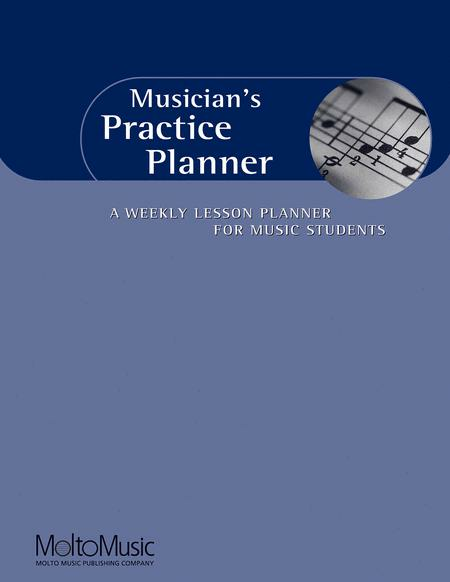 A Weekly Lesson Planner for Music Students. General Music. Educational. Softcover. 80 pages. Published by Molto Music (HL.311358).
) scales and warmups 2) Etudes and Exercises 3)Repertoire 4) Metronome Marking 5) Practice Priorities Even for beginning piano students, they will learn how to be organized and goal-oriented when they start to practice. 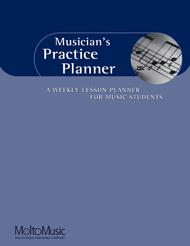 Highly recommended for piano teachers!